Dechaine, convicted of the 1988 killing of Sarah Cherry, was denied an appeal Monday before a three-judge panel in Boston's First Circuit, marking the end of a 27-year campaign for a retrial. 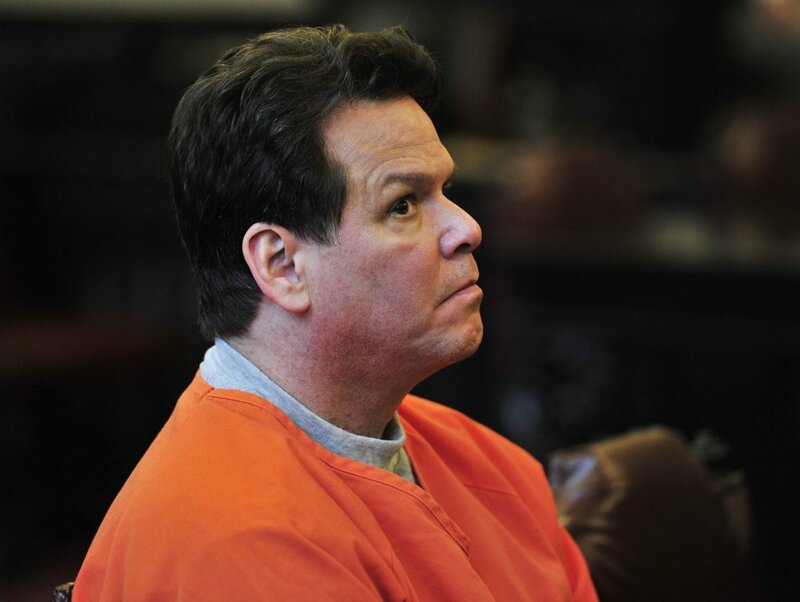 Convicted murderer Dennis Dechaine’s appeal was rejected by a panel of three judges on the federal appeals court in Boston, marking the end of a 27-year campaign to overturn his 1989 conviction for the slaying of a 12-year-old girl. Dechaine is serving a life sentence at the Maine State Prison in Warren for the 1988 kidnapping and murder of Sarah Cherry, whose body was found two days after she disappeared from her home while baby-sitting. He was convicted in 1989 and has been attempting to prove his innocence ever since. 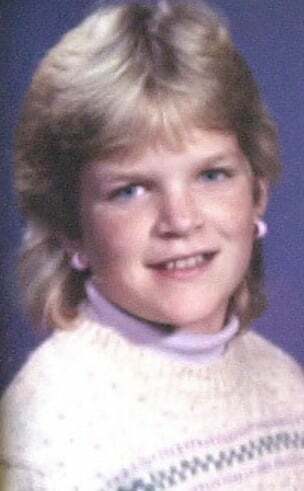 Sarah Cherry, the 12-year-old girl from Bowdoin who was kidnapped and killed in 1988. The two-paragraph decision released Monday by the First Circuit Court of Appeals effectively extinguishes his chances of further federal review. Because Dechaine already has filed an unsuccessful habeas petition, he would have to meet a stringent set of standards to show that the federal judges should hear his appeal again. In the unanimous decision, the judges determined Dechaine had failed to meet that burden, according to the Maine Attorney General’s office, which argued the state’s case in the appeals court. “The federal First Circuit Court of Appeals, in a unanimous decision, basically said that none of Dennis Dechaine’s recent allegations would have made a difference in the outcome of a trial, that he still would have been found guilty,” Timothy Feeley, spokesman for the Maine Attorney General’s Office, said in an email Tuesday. Sarah Cherry’s parents, Debbie and Chris Crosman, did not return a call for comment Tuesday. Steve Peterson, who has represented Dechaine in his state-level appeals since 2004 but had no role in the latest federal petition, said Dechaine has one avenue of recourse left, absent major new evidence that proves his innocence. Dechaine could still file a post-conviction petition in state superior court arguing that a medical examiner’s report prepared in 1988 estimating the time of Cherry’s death was not properly emphasized during the original trial and that more re-examination would show that Dechaine could not have killed Cherry because he was with police when she died. So far, that evidence has been excluded from his attempts at appeal. Dechaine’s most recent state appeal was rejected by the Maine Supreme Judicial Court in July 2015. When he was first implicated in Cherry’s murder, Dechaine was a 30-year-old farmer from Bowdoinham. He was the sole suspect, with significant circumstantial evidence pointing to his role in her death. Dechaine was found to have stumbled out of the same woods where Cherry’s body was found. His truck was parked nearby, and rope from his truck had been used to bind Cherry’s hands. A notebook that belonged to Dechaine and a mechanic’s repair bill with Dechaine’s name on it were also found in the driveway of the Cherry home from where the girl disappeared. Dechaine’s alibi was also weak: He told police he spent the day doing drugs and wandering in the woods. Since Dechaine was convicted, a small but committed group of supporters has continued to argue for his innocence, pointing to the lack of physical evidence linking him to Cherry. His supporters have been persistent in their advocacy, despite each successive legal rejection. Dechaine’s case has been among the most publicized in the state and was the subject of a book written by a Brunswick man. The case was noteworthy because it was the first to go before a judge since Maine enacted a law in 2001 that allows prisoners to seek new trials based on DNA evidence. During oral arguments on the appeal before the Supreme Judicial Court last year, Dechaine’s attorney told justices that DNA found under the girl’s fingernails belonged to someone other than Dechaine, which he argued should alone be enough to warrant a new trial. The state, however, argued that the DNA evidence was not conclusive and could have been contaminated. The prosecutor, Assistant Attorney General Donald Macomber, said during that hearing that all other evidence pointed to Dechaine, including the fact that he confessed three times and told his original lawyer where the victim’s body was located before it was found. The scores of people who have worked to gain a new trial for Dechaine vehemently deny the state’s version of the facts and allege the judge, prosecutors and police have refused to acknowledge alternative versions of the crime that exclude Dechaine because it would prove they that prosecuted an innocent man. At the center of this group is a nonprofit group, Trial and Error, which was formed by a childhood friend of Dechaine’s to unify the years-long efforts to free him. Bernie Huebner, a member of Trial and Error, when contacted for comment Tuesday, disputed the facts of the case as alleged by the state, including that Dechaine was the sole suspect. Huebner argues that the state refuses to acknowledge the shortcomings of its investigation and refuses to consider new evidence that Dechaine’s supporters believe implicates another suspect – an argument that the original judge in the case excluded from Dechaine’s trial.